composer, b. 28th December 1907 in Śniatyń (now Sniatyn, Ukraine), d. 25th August 1989 in Paris. He started learning the piano at the age of seven; he studied this instrument in the Music Institute in Cracow (1919-21), then with Maria Sołtys in Lvov Conservatory (1921-25). From 1925, he studied history of art at the Philosophical Department of Warsaw University. Simultaneously, from 1928 he studied with Kazimierz Sikorski in Warsaw Conservatoire, graduating in 1931 with a degree in music theory and composition. As his debut, Palester chose the Warsaw performance (in the same year) of Muzyka symfoniczna [Symphonic Music] (1930), which later brought him a tremendous success at the Festival of the International Society for Contemporary Music in London. In 1931-39, Roman Palester travelled extensively (most of all, to Paris) and his compositions were frequently awarded both in Poland and abroad, e.g. in 1932 in the Competition of the Singers’ Societies Association (for Psalm V for baritone, choir and orchestra, 1930-31) and in 1935 in the Competition of Polish Music Publishing Society (1st prize for Variations for chamber orchestra, 1935). In 1937 his ballet Song of the Earth won him the gold medal at the World Exposition in Paris. In the 1930s, he also composed much music for films, the theatre and the radio, collaborating with such famous theatre directors as Leon Schiller or Juliusz Osterwa. In this period he also took active part in music life, serving as secretary (from 1936) and vice-president (1938-39) of the Polish Composers’ Association. From 1937, he was also vice-president of the International Society for Contemporary Music, Polish Section. In 1939, he co-organised the 17th Festival of the International Society for Contemporary Music in Warsaw and Cracow. He was also a member of the Managing Board of ZAiKS Authors’ Association and the Musical Council of the Society for Promotion of Polish Art Abroad. During the World War II, Roman Palester lived in Warsaw; in 1940, he spent about 6 weeks in the Gestapo prison on Pawiak. Many of his scores perished in the Warsaw Uprising. After the war, he moved to Cracow. In 1945-47, he worked as professor of composition in the State Higher School of Music in Cracow. From 1st May to 31st August 1945, he also held the post of deputy vice-chancellor of that academy. He was then regarded as one of the greatest living Polish composers, and his compositions were awarded and performed both in Poland and abroad. In 1946, he was the first winner of the City of Cracow Music Award. At the Festival of the International Society for Contemporary Music in London (1946), the performance of his Violin Concerto (1939-41) received an enthusiastic applause. In 1947, Roman Palester moved to Paris and dedicated himself primarily to composition. Two years later, following the Assembly of Composers and Music Critics in Łagów Lubuski, whose participants proclaimed the submission of Polish music to the principles of socialist realism, Palester finally decided to emigrate from Poland. Till 1951, he was resident in Paris, then in 1952-72 he lived in Munich, where he worked as head of the culture department in the Polish section of Radio Free Europe, the anti-communist station broadcasting for listeners behind the “Iron Curtain”. He presented a series of broadcasts entitled “Music Abolishes the Frontiers”, in which he presented compositions forbidden in Poland at that time, as well as the programme “Window on the World”, dedicated to the most important cultural events in the West. From 1972, he lived again in Paris. After Roman Palester’s departure from Poland, his name was erased from all kinds of Polish publications, and his scores – withdrawn from sales and public use. The Management Board of the Polish Composers’ Union cancelled his membership, and performances of his works were prohibited. At the same time, Palester wrote many important and awarded works as an émigré. In 1962, his “musical action” The Death of Don Juan (1959-61) won the 1st prize in an international competition for an operatic work organised by the Italian Section of the International Society for Contemporary Music. Two years later – in 1964 – he became the first Polish winner of the Alfred Jurzykowski Award (for his émigré works). 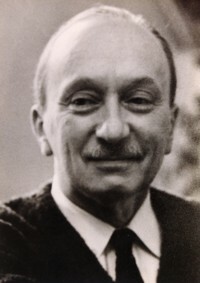 Roman Palester was absent from Polish culture and media till 1977. In 1981, the Polish Composers’ Union annulled its earlier decision and granted Palester the title of honorary member. Similar decisions came from the International Society for Contemporary Music, Polish Section, and the Karol Szymanowski Music Society. The composer visited Poland only once – in September 1983 he was present at the first performance of his Hymnus pro gratiarum actione for children’s choir, 2 mixed choirs and instrumental ensemble (1979). He was buried at the old Polish cemetery in Montmorency. In accordance with the composer’s last will, his works returned to Poland. Roman Palester’s music is virtually absent from present-day Polish musical life, which, considering its artistic value, is one of the painful paradoxes of contemporary Polish history. It is also absent from the panorama of Polish music in the last fifty years, if we look at concert programmes in Polish philharmonic halls, at music records, critical articles about these concerts and records, as well as musicological research. All the same, directly after World War II Palester was the main representative of Polish musical world abroad, and he was then regarded as the most eminent Polish composer, even – as a successor to Szymanowski. When he was leaving for Paris in 1947, then, he did not do it to further his career or seek popularity. What is more, his departure was fully legal, approved of by the authorities, and he intended to maintain regular contact with the mother country. His prolonged stay abroad, however, could not be accepted by the communist authorities, which began to persecute him in the hope that it would force him to return. In 1948, Palester refused to participate in the World Congress of Intellectuals in Defence of Peace in Wrocław, the communists’ propaganda exercise attended even by Pablo Picasso himself. Palester was present, however, a year later at the National Assembly of Composers and Music Critics in Łagów in Poland, where the new socialist-realist style in art was officially decreed as obligatory, also in music. Palester himself was then called a formalist by the minister of culture, which amounted to a public reprimand. Despite his fears, the composer managed to return to Paris, but it was only in 1950 that he finally made up his mind to choose emigration. On 25th August, the London-based “Polish Daily and Soldier’s Daily” published the following note: “Roman Palester, a well-known Polish composer, has been blacklisted in Poland as a “formalist” and a musician yielding to Western influence. Commanded to return to Poland, Palester has refused and remained in Paris. Palester is the first eminent artist from behind the iron curtain who has opted for ‘freedom’.” The composer’s name was erased from the member lists of ZAiKS Authors’ Association and the Polish Composers’ Union, and the censorship office banned his name. As a result, every single mention of Palester, even a passing reference, disappeared from encyclopaedias, dictionaries, publishers’ catalogues and all kinds of publications. All his printed scores were put on the shredder. The performance of Palester’s music in concert halls and radio broadcasts was prohibited. The memory of his name also gradually blurred in the Polish musical milieus.